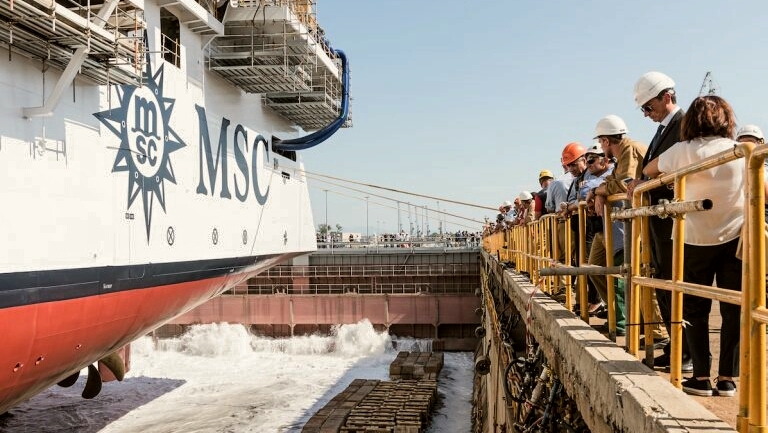 A few hours ago MSC Cruises celebrated the float out of MSC Seaview. 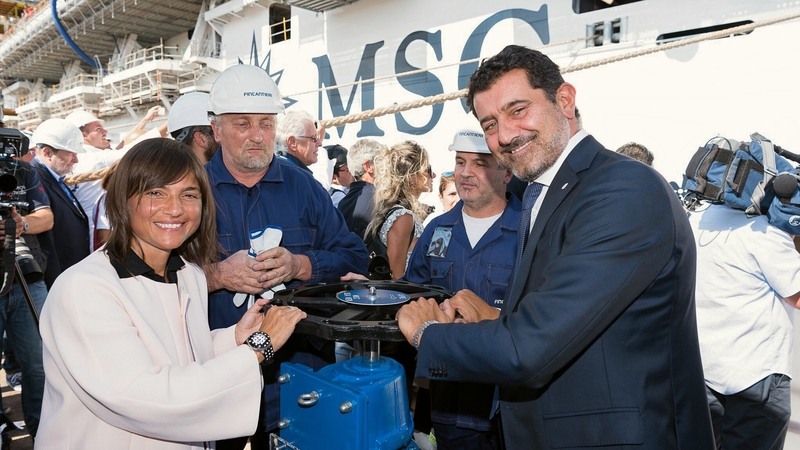 The ceremony took place at the Monfalcone shipyard in Italy, where the ship is being built. With her float MSC Seaside enters the final phase of construction ready for her inaugural season in the Mediterranean. MSC Seaview will sail her inaugural 2018 summer season in the Mediterranean, offering holidaymakers the chance to experience the jewels of this region like never before on a cruise ship. Guests will discover seven different lively ports from four countries, all without unpacking a suitcase – Genoa, Naples, Messina, Valetta, Barcelona and Marseille. At 323 metres long with a 154,000 GRTs, the ship will feature a maximum capacity of 5,179 guests. MSC Seaview is the second of two identical ships in the Seaside class.